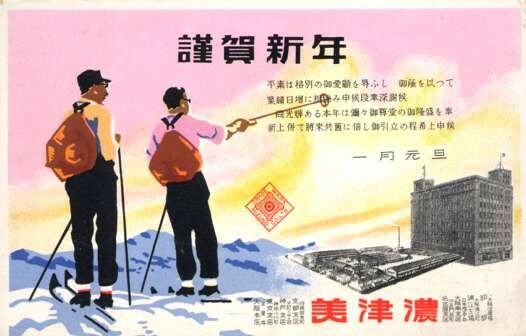 Skiers Advertising Japanese | VintagePostcards.com: vintage, old, antique postcards for collectors. The skiers view the Mizuno Co. factory from the mountain. Used Japan.